Unai Emery suffered defeat on his Arsenal debut as Manchester City kicked off their title defence with a 2-0 victory at the Emirates Stadium. Emery has been tasked with taking Arsenal to the next level after Arsene Wenger's departure at the end of last season - but it was a familiar, disjointed performance from the Gunners, who visibly need time to adapt to their new manager's philosophy. For Pep Guardiola and City, it was business as usual as they took their place among the Premier League's early pacesetters having started the defence of their crown with an eighth consecutive opening-day triumph. Sterling was a constant thorn in Arsenal's side and, five minutes after drawing Petr Cech into action with a near-post drive, the England international fired City into a deserved lead, skipping past Hector Bellerin and Matteo Guendouzi before lashing the ball beyond the unsighted Gunners goalkeeper. 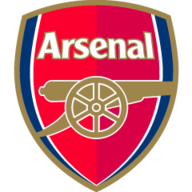 Bellerin registered Arsenal's first attempt on target on 21 minutes, playing the ball through Benjamin Mendy's legs before testing Ederson with a swerving drive, but that proved to be a rare venture into opposition territory for the besieged Gunners. A last-gasp deflection prevented a rasping Aguero drive from doubling City's lead on 50 minutes, a lead which Arsenal could have erased had Alexandre Lacazette's dipping volley found the target five minutes later. 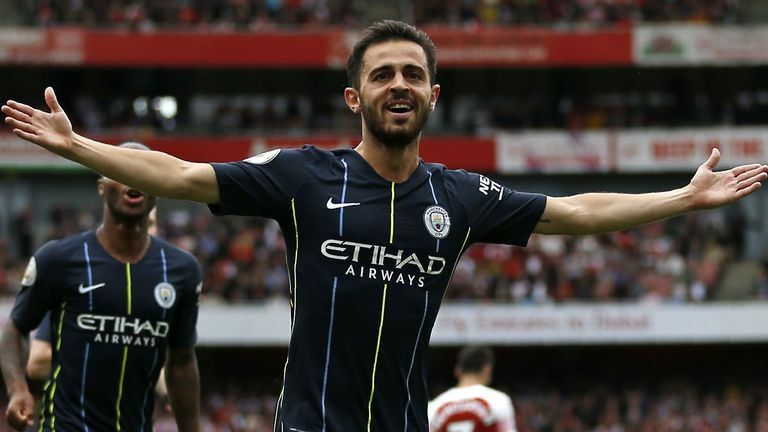 Arsenal were fortunate not to go two goals behind when Cech brilliantly prevailed in a one-on-one with Aguero, after Guendouzi's missed clearance released the City forward through on goal, but a minute later City doubled their lead when Bernardo Silva ruthlessly dispatched Mendy's cutback. Arsenal could well have had a penalty had Video Assistant Referee been in use. Gunners defender Shkodran Mustafi was visibly hauled to ground by Benjamin Mendy in the 69th minute, but referee Michael Oliver was unmoved by Arsenal's appeals. Arsenal have enjoyed just two victories in their last nine opening weekend Premier League games, drawing three and losing three. Manchester City are unbeaten in their last 10 opening Premier League fixtures (W9 D1), winning the last eight in a row. Unai Emery is the first of Arsenal's last six managers (including caretakers) to lose his first league game in charge of the club, since Steve Burtenshaw lost 0-1 against Tottenham in March 1986. Pep Guardiola remains unbeaten against Emery in all competitions, winning seven and drawing four of their 11 meetings. Sterling has been directly involved in 12 goals in his last 12 Premier League appearances for the Citizens, scoring five and assisting seven. Manchester City full-back Benjamin Mendy registered two assists in a game in Europe's big five leagues for only the second time ever (also for Monaco v Nice in February 2017) and for the first time ever away from home. Bernardo Silva has scored five goals in his last seven Premier League starts for Manchester City after failing to score in his first nine. 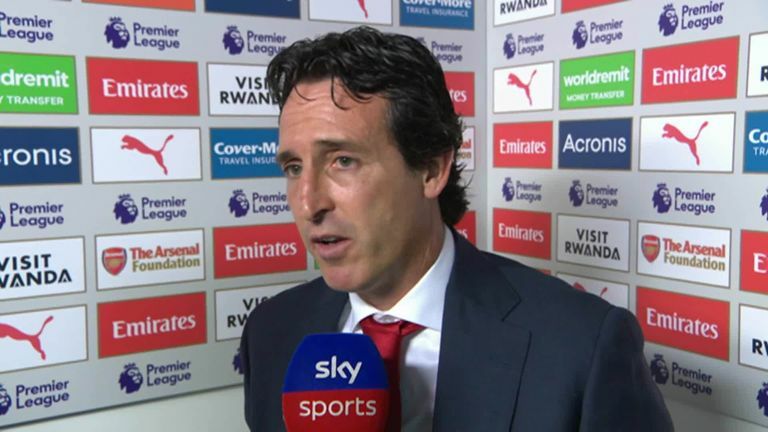 Unai Emery: "Manchester City's performance showed us that we need to continue the process of improving. They deserved the result. We are a new team [that needs] to improve. For me today, I was frustrated that we lost but it is also one more experience and continued progression." 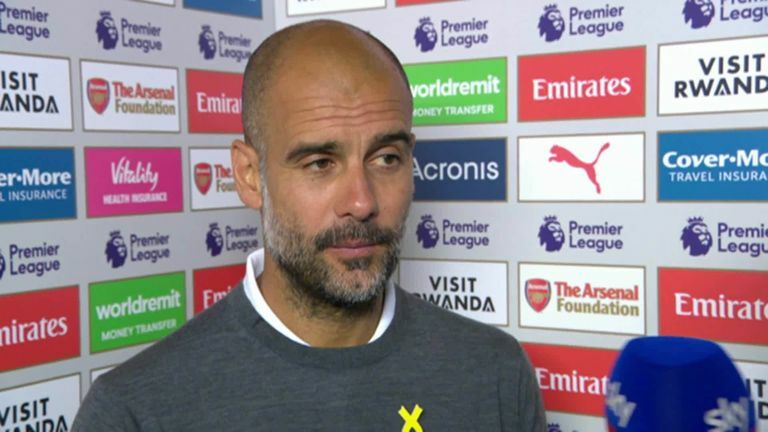 Pep Guardiola: "Our average level is high, we cannot deny that. I've said many times I have the feeling we can improve. Still we are not good enough to know exactly what we have to do, but in general I cannot be more satisfied from what I saw against Chelsea and Arsenal." 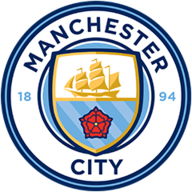 City were at their devastating best in parts but had a measure of control throughout, thanks in no uncertain terms to Bernardo Silva. With his namesake David not in the squad, the Portuguese effortlessly picked up the Spaniard's responsibility in midfield. And when City needed to put the game to bed, up he stepped with the most clinical of finishes. Arsenal travel to Stamford Bridge to take on London rivals Chelsea next Saturday at 5.30pm. Manchester City host Huddersfield on Renault Super Sunday - live on Sky Sports Premier League at 1.30pm.